People like to cite the cliche that only boring people get bored, but at some point or another, we all get bored. 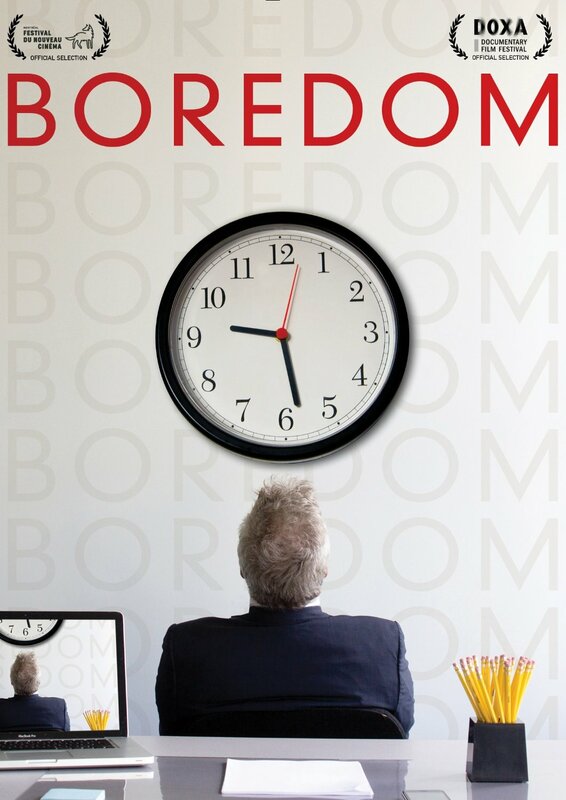 No one is really sure what causes boredom or what we can do about it, but Albert Nerenberg underwent an exploration of boredom and its scientific (and sometimes not so scientific) causes in the documentary Boredom. Nerenberg, who released such documentaries as Stupidity and Laughology, turns his cinematic eye towards Boredom in his latest release. The documentary opens with an interview with Alan Caruba, Director of the Boredom Institute, which then launches into the framing story of how Nerenberg lost his iPhone and it has caused him to be bored without it. The early interviews and storyline of Boredom borderline on the comedic, giving doubt as to whether it would be a true documentary or as Spinal Tap like pseudo documentary. As the film progresses, interviews with actual professors, scientists and explorations of the biological effects of boredom on the human body and how it may be a form of stress, but the reoccurring iPhone gag keeps the documentary from taking itself too seriously. The light tone of the documentary keeps it from getting too dry, but the tone isn’t contained to just the movie. An extra feature on the DVD is the “Revolutionary Accelerated Unboring Version” which plays the movie at a higher speed. It was a cute gag that kept the satirical tone without losing the content or the message. We don’t know what truly causes boredom, but the modern technological society only seems to increase the potential and frequency of it. Neremberg makes a good exploration of what causes this rarely discussed condition, and not only inspires further discussion, but gives good cause to disconnect and go outside the constant technology to catch your breath and alleviate yourself of the boredom the constant bombardment of the screens around you are responsible for.